Circus Stuff endevours to always provide you with the best prices available in Australia. To this end, if you find a cheaper price for any of our products (which we doubt you will), please just let us know and if it checks out we will happily price match. Circus Stuff was established in 2004 due to a need for a serious circus supply shop in NSW, although we post our products all over Australia and beyond. We are primarily an online shop; however clients are welcome to visit our showroom from 10am to 5pm Monday to Friday to view our product range. We also have available a full range of demo gear so you can test out different products before deciding on what is right for you. The Circus Stuff Mobile Shop can also be found at most of the Circus Festivals, Conventions and Conferences held around Australia. Our shop also visits festivals which have a circus component to them. Keep an eye on the ‘What’s on’ page for regular updated info on upcoming events around Australia and New Zealand. We are constantly adding to our product range in our quest to offer both the hobbyist and the professional performer the largest choice of equipment possible. So keep checking back to see our new in store products. Circus Stuff is owned and operated by Jo Love, who originally hails from New Zealand, although, having lived here for the majority of her adult life, and having acquired three Australian children, (all of whom now help in the running of the business), she feels ‘right at home’ and swears never to leave except for well deserved holidays. 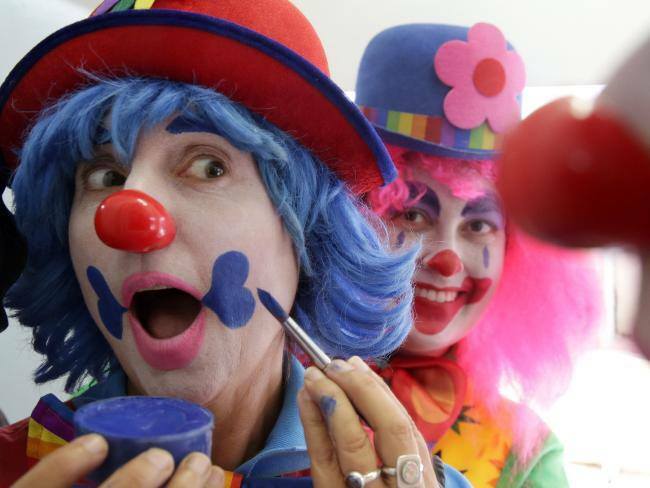 Jo and the rest of the staff also teach a circus skills program, (which Jo has written), in schools, vacation care centres and for the Australian Sports Commission, on the Central Coast of NSW. Other regular clients for Circus Stuff’s programmes and the ever popular, ‘Circus Play Space’, include the Department of Sport & Recreation, Local Councils, Community Groups and Festival Organizers. Outside hours shopping is always a possibility. Ring Jo on 02 4324 2318 to arrange. 310 Mann St Gosford, NSW, Australia.